Hey there! 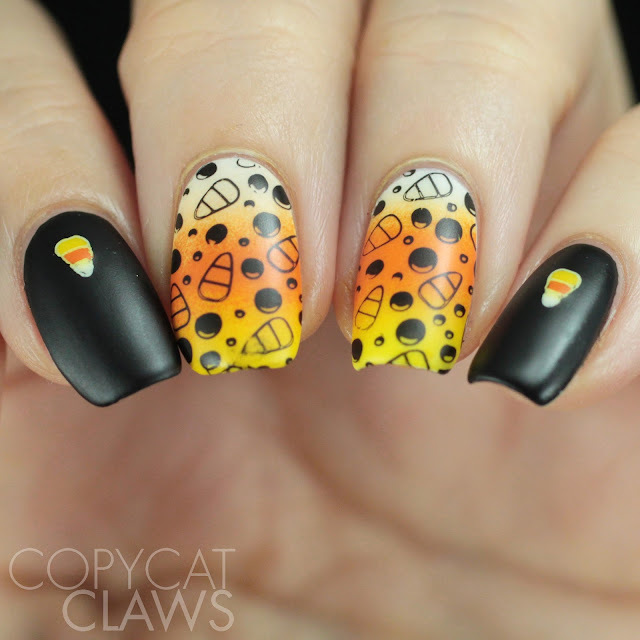 Since my "doing nails just for me" time coincides with Halloween time, you can expect a few more Halloween nails from me over the next few days. 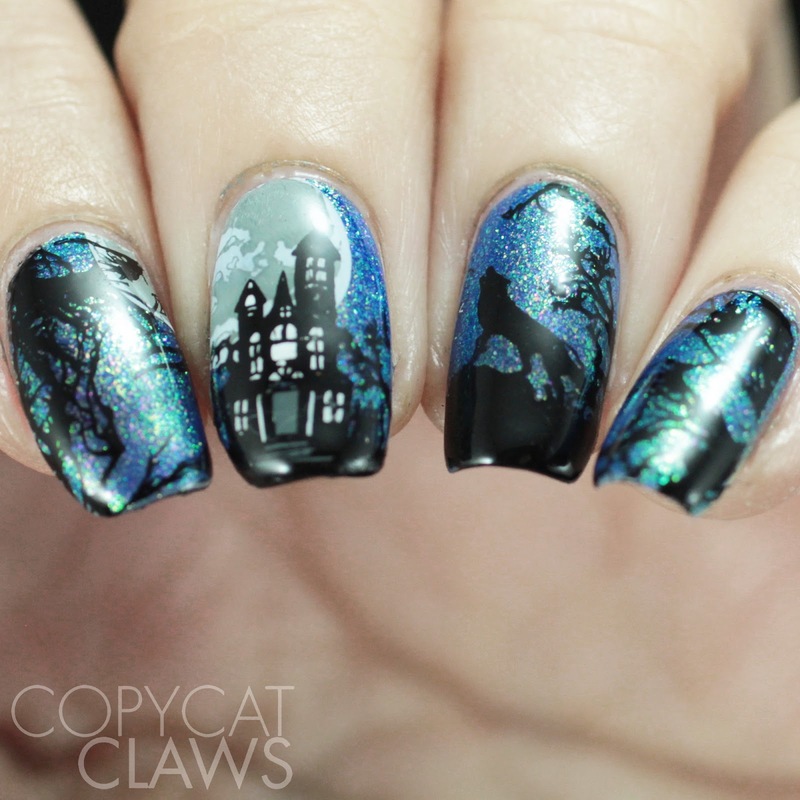 Two nights ago I was finishing up the Netflix show The Haunting of Hill House and realized Bees Knees House On Haunted Chill's name was so close that I should combine the polish with the TV show and Halloween. Does the fact that the show is called The Haunting of Hill House and that there's a movie called House On Haunted Hill get anybody else confused? Has the world run out of potential horror titles so now they're just jumbling the words around?? Hey there! Today I have something a bit different than usual...a look at Hit The Bottle's Bottoms Up and Keepin' It Peel, sent to me by Beautometry to try out. Bottoms Up in a 2-in-1 base and top coat while Keepin' It Peel is, as you'd guess, Hit The Bottle's water-based peel off base coat. I've put both of these into regular rotation, for different reasons, over the last couple months. I have a positive opinion of both though I did learn that I do my nails too late at night and/or I'm too impatient to use non-quick dry top coats now like Bottoms Up. But I've been using it for other purposes instead of only as top coat so it definitely has a place in my life. Hey there! For the first time in ages, I'm all caught up on items to review so I've been getting to do my nails just for funsies. 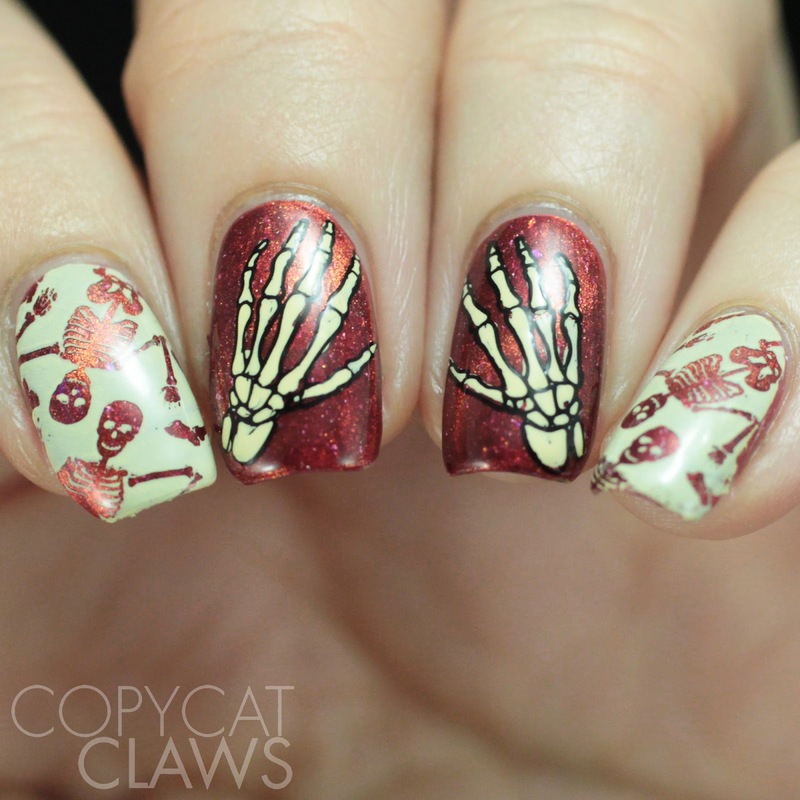 Since it's Halloween next week, I've done a couple Halloween manis already and have at least two more things I've like to wear. I'm sure some people are probably tired of Halloween nails but, since it's such a good holiday for nail art, I hope you'll bear with me. 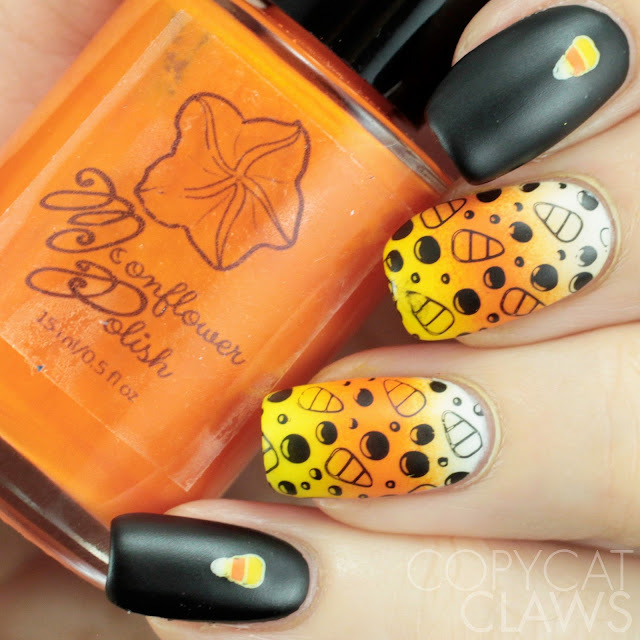 I don't think I've done a candy corn mani since 2015 so I thought it was about time for a new one! Hey there! Today I'm pretty much sharing my last few days with you guys. On Saturday I got the latest UberChic Beauty plates, Art Deco Flair and Moroccan Delight and pretty much haven't stopped trying them out since. 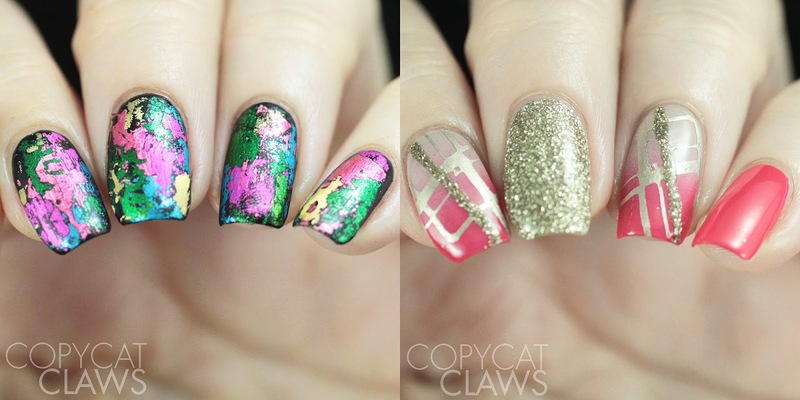 I've done 3 manis with each (plus one big fail). Usually I try to do two full manis per plate when I'm sent something to review but I clearly like these ones since I did some extra. I feel like I don't even need to say anything about UberChic's plates since I'm so consistently impressed by their quality. But I will...if you haven't tried this brand, you should. The etching is great and the images are gorgeous. What else do you need? Hey there! I hope everybody had a great weekend. I got to go see the writer/director Kevin Smith do a Q & A last night so I'm still happy from that. I've seen him a lot (he has a strange love for Edmonton so he's here relatively often) but I always love it. Anyway, enough about my weekend and onto the nails. 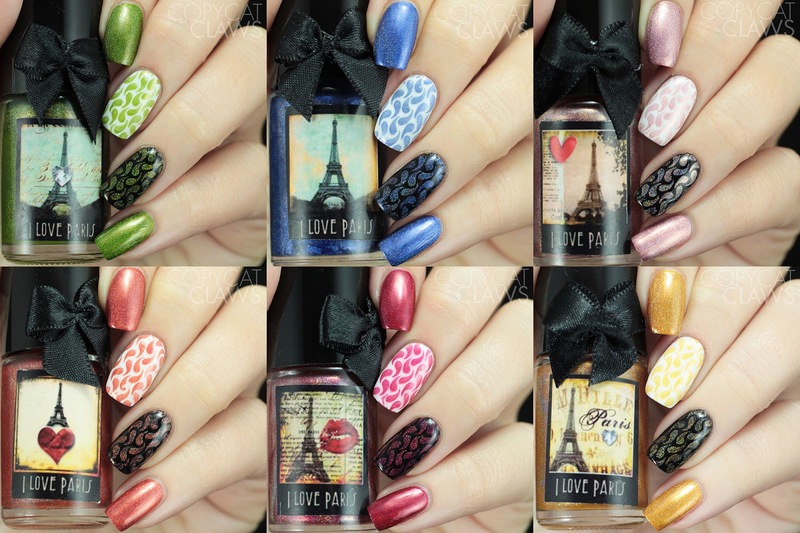 Last week I posted about the Esmaltes da Kelly I Love Paris collection and promised to be back this week with more swatches of her polish. I received a random assortment of other EdK polishes from Beautometry to try out so it's a bit of a mish mash post. There's some of the Animals cremes, Nebula Ultra Holos and a couple from the Star Wars collection. I've previously swatched some Animals and Nebulas so if you'd like to see those as well, you can find that post here. Hey there! 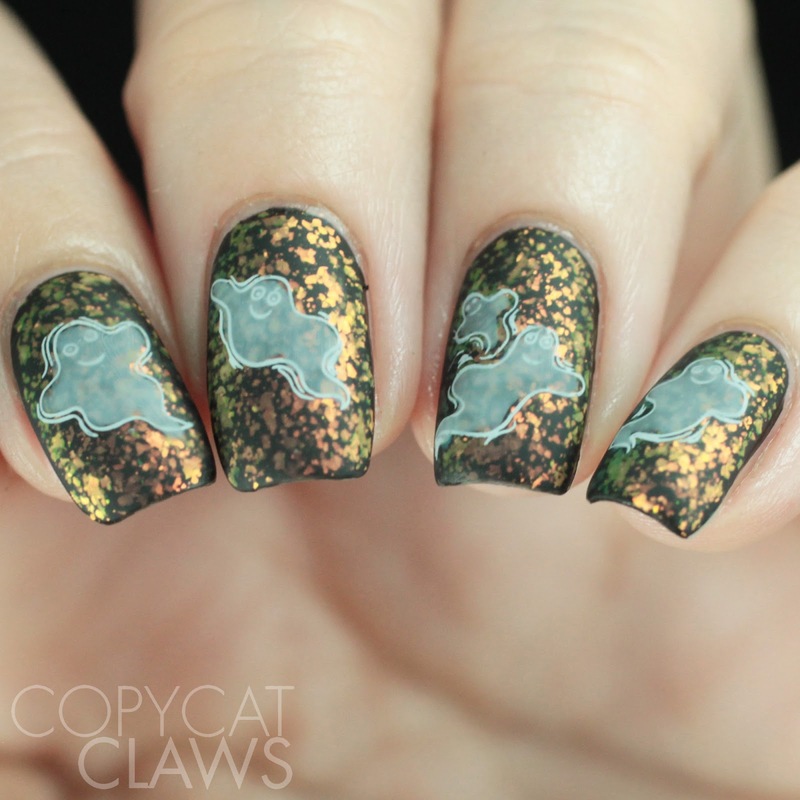 This week's Nail Crazies Unite prompt is Ghost & Matte which is great because I haven't really posted any Halloween nails yet this year. I do love Halloween but just haven't had time to play. Now that it's less than 2 weeks from the day though, I should really start wearing Halloween designs to work. At least I did these guys ahead of time so I could participate in the challenge this week. Hey there! I hope everyone is having a great day! I'm back today with more polishes available from Beautometry. I use my Esmaltes da Kelly Animals creme polishes a lot for nail art but she doesn't only make cremes. 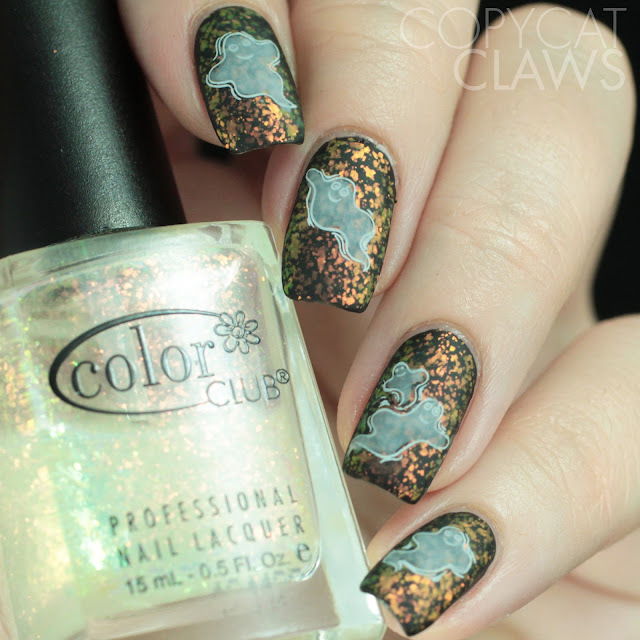 She makes beautiful holos as well. Today I'm sharing the I Love Paris collection. 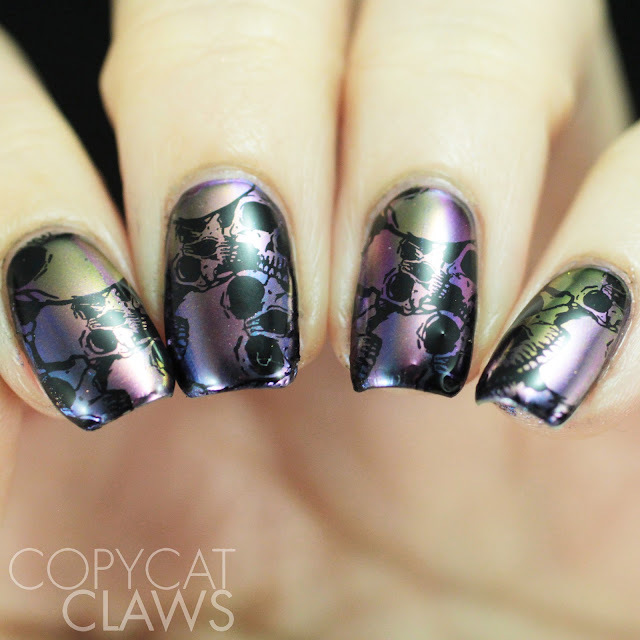 I'm unsure if these were designed to be stamping polish but, since they're so opaque, they work great for stamping. 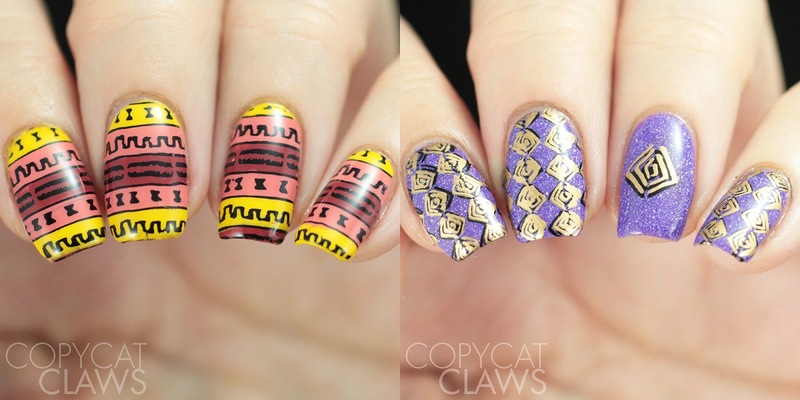 Hopefully my swatches give you an idea of how they look on their own (as regular polish) and as stamping polish. Hey there! 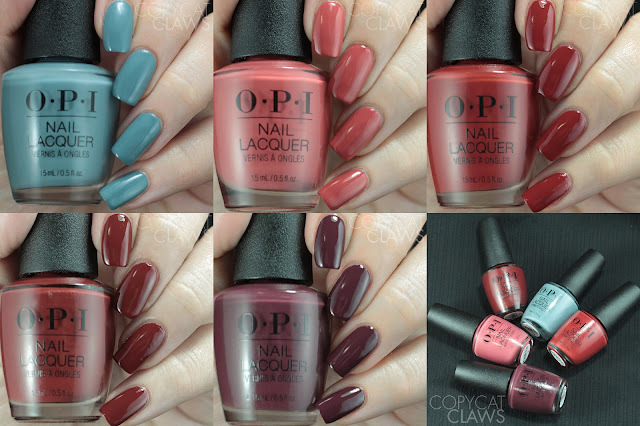 I have something different for me today - swatches of some mainstream polishes that I bought. I'm been really loving red polish lately (I'm still hunting for my perfect burgundy creme) so when OPI's Fall collection came out and it was full of red's (what OPI collection isn't, amirite?) , I bought a few of them and tried them out and figured why not blog it! 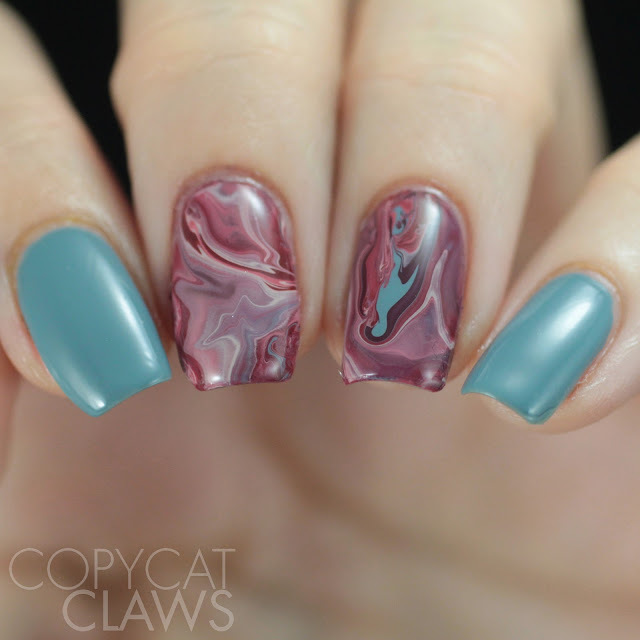 Plus I did a cool drip marble that I absolutely loved. Hey there! 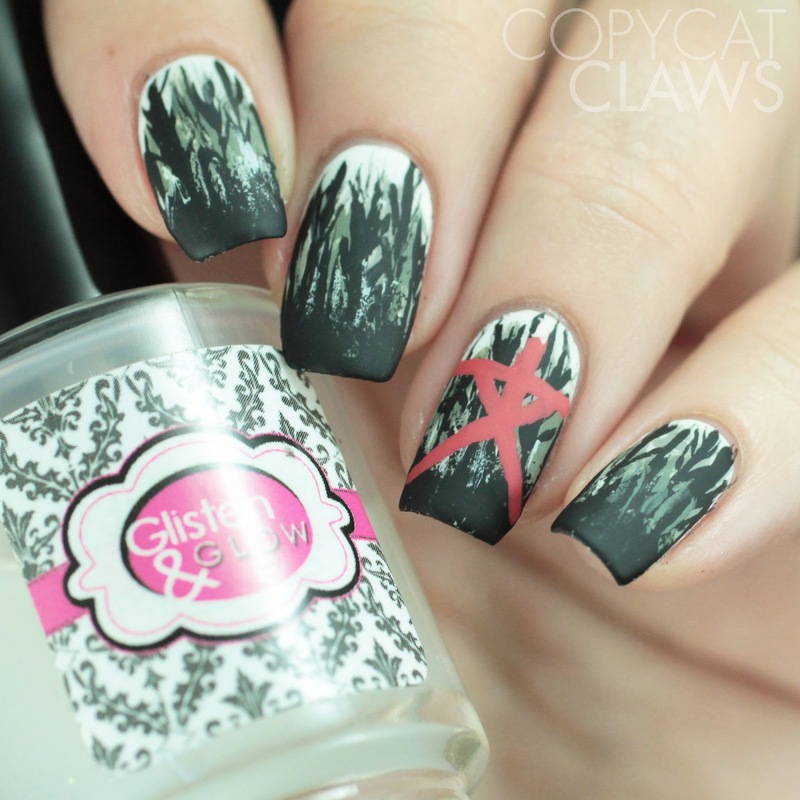 Today I have another one of the nail art tools available from UberChic Beauty. I think most of us think only of plates when we hear about UberChic BUT she also has a range of tools and lifestyle items. Over the years I've tried out her stampers, clean up brushes, striping brushes, plate holder and the list goes on... Today I'm sharing the Bling Pickup & Placement tool, a little invention that helps pick up and placing any of your nail art accoutrements (can you believe that was honestly the first word to pop into my head...I'm getting so fancy 😂)! I'd been tempted to try older (and far more expensive) tools similar to this but I'm glad I waited since hers is beautiful AND inexpensive! Hey there! For my final TV show inspired mani for this month's Digit-al Dozen theme, I did two designs for the same show. 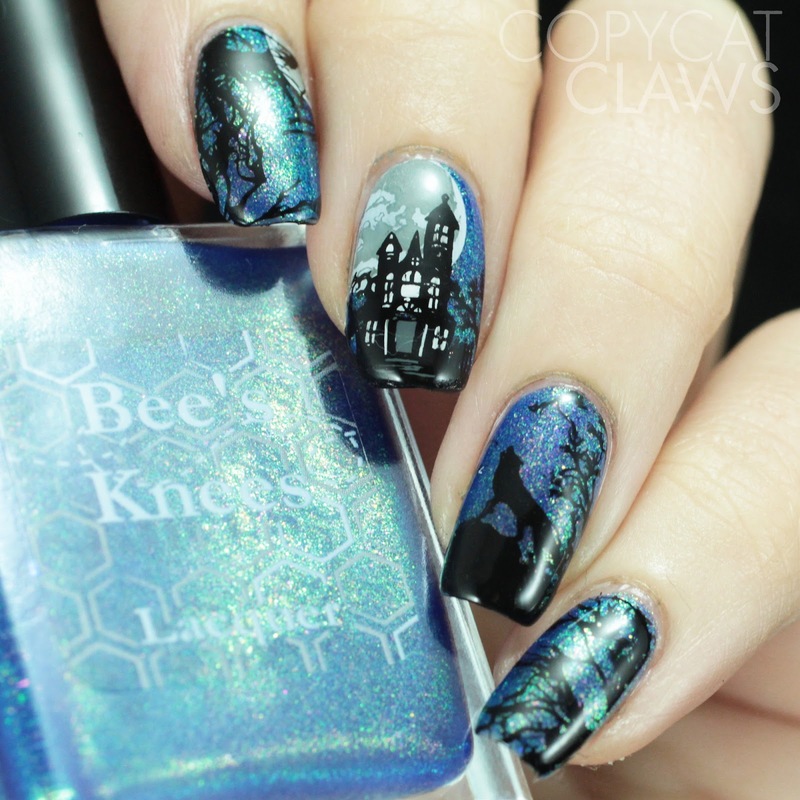 The show is Claws. 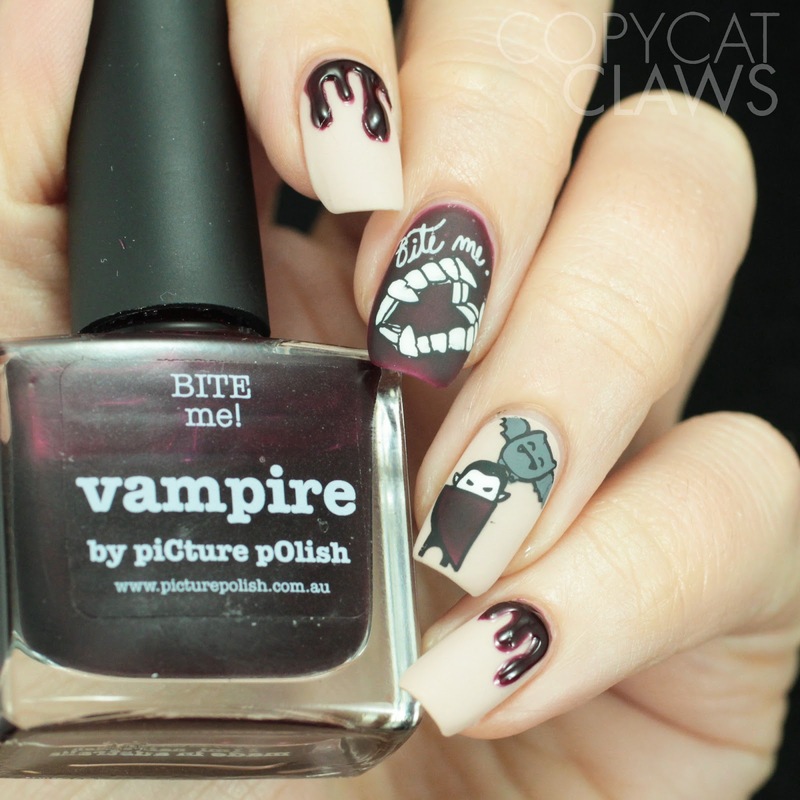 It's a drama revolving around manicurists who get involved in the world of organized crime. I like it. It's not the best show on TV but holy, there are some flashy nails in that show! I did my best to recreate two of them. Hey there! 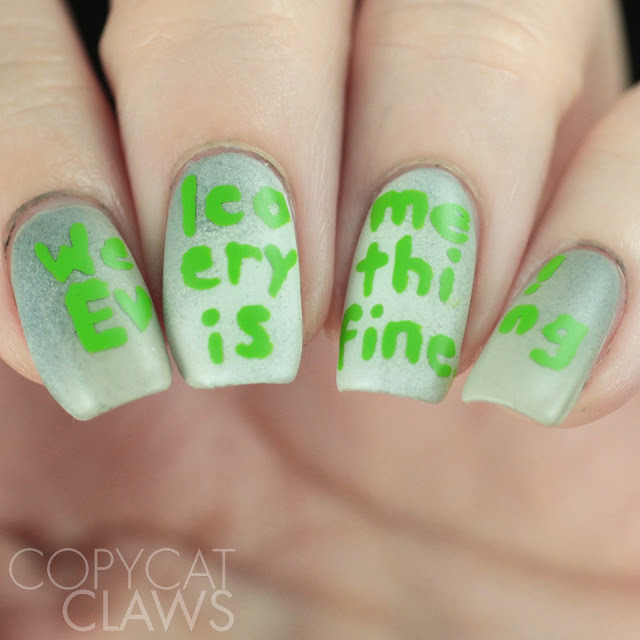 Like yesterday, it's time for another post about a TV show I live for but couldn't come up with decent nail art for. The Good Place is super duper. It's funny and light but oh, so smart. I don't know how a show about the afterlife and ethics is this fun but it is. Since it's easily digestible (you can watch an entire season in about 4 hours in a good Netflix binge), I've actually gotten a few people to watch it and they all like it too. That makes me so happy! No one ever takes my recommendations... despite the fact that I clearly having amazing taste in TV. Hey there! 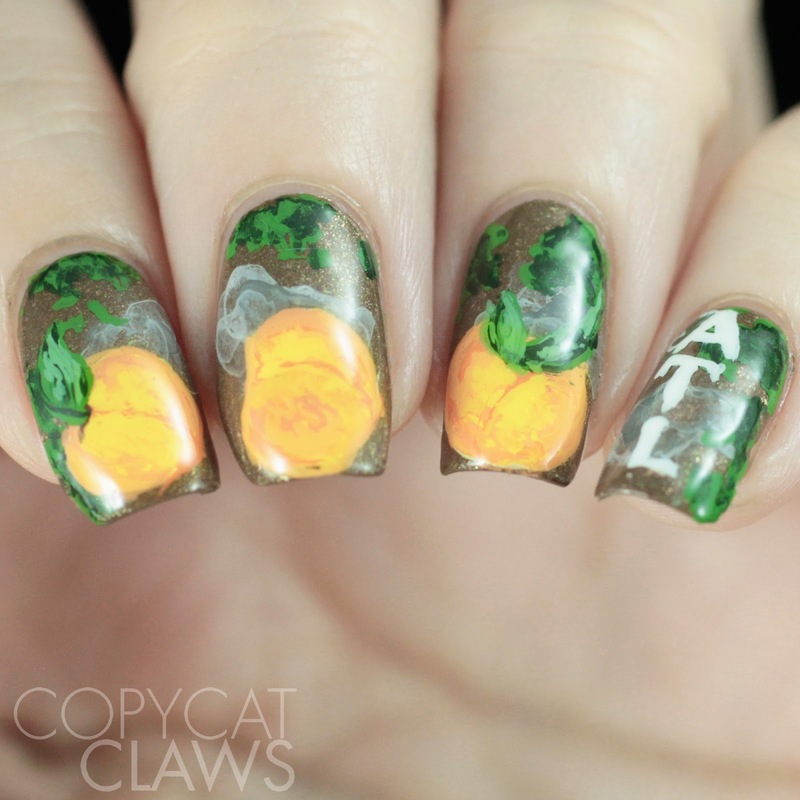 For my third Digit-al Dozen TV Shows mani I wanted to do a mani for what I think is the best show on TV...Atlanta! 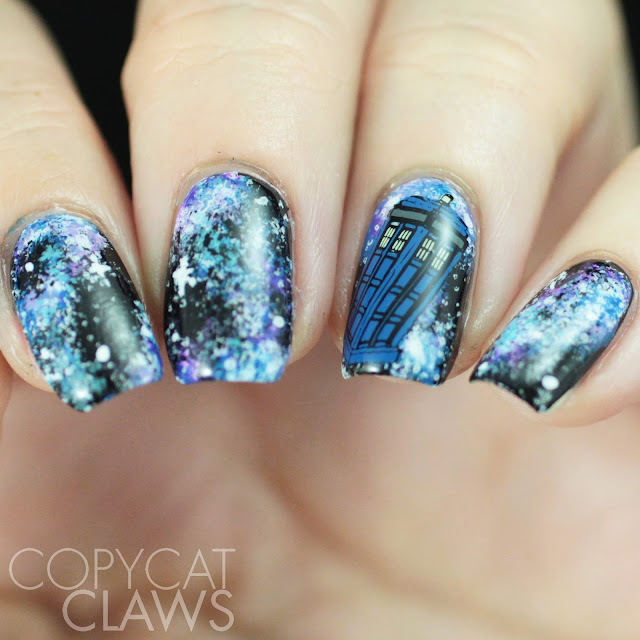 Unfortunately, I couldn't think of a decent way to turn this show into nail art. I ended up trying to use the first season's poster as my basis but I don't exactly feel like it screams Atlanta. I'll include a picture of the poster so you could at least see my inspiration. And then you should go watch the show. Don't let my crappy attempt at freehand peaches turn you off of one of the best shows ever. Hey there! Today I have a beautiful new collection of polishes upcoming from Moonflower Polish. Since her August Polish Pickup shade Enchanted Rose was so popular and resulted in requests for more holographic stamping polishes, she's come out with the Gemstones Collection. 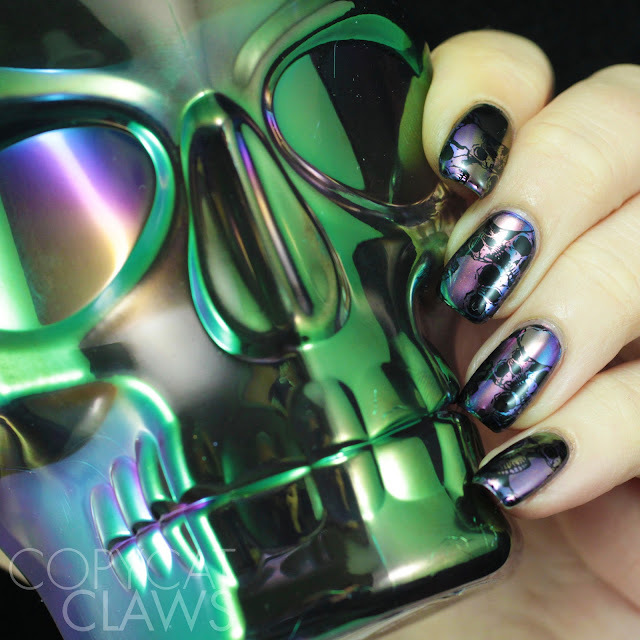 They're super pigmented and filled with Spectraflair and other holo particles. 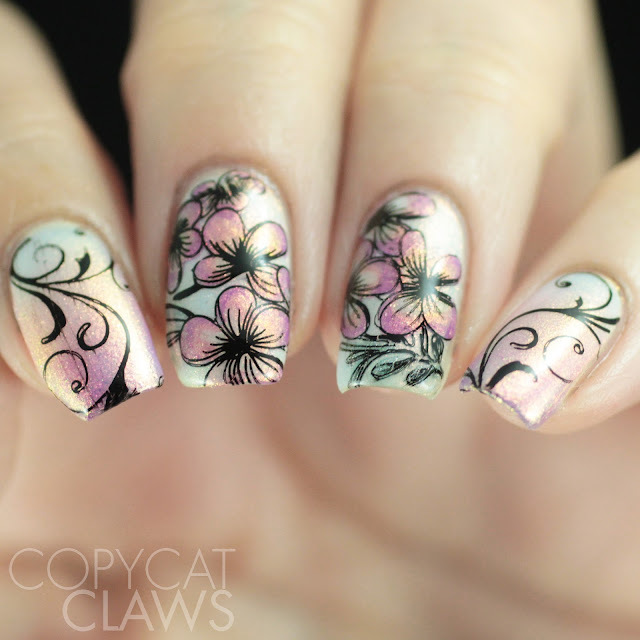 The formulas are thicker than regular polish (since they are designed for stamping) but I find them to be perfectly buttery when using it as regular polish. 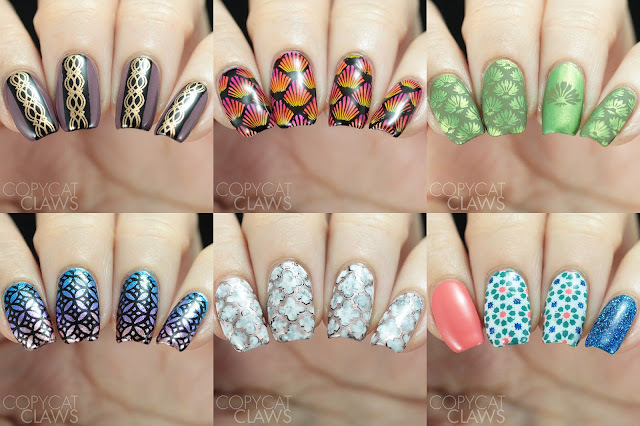 This is my favourite collection of hers since the Rainbow Cremes. 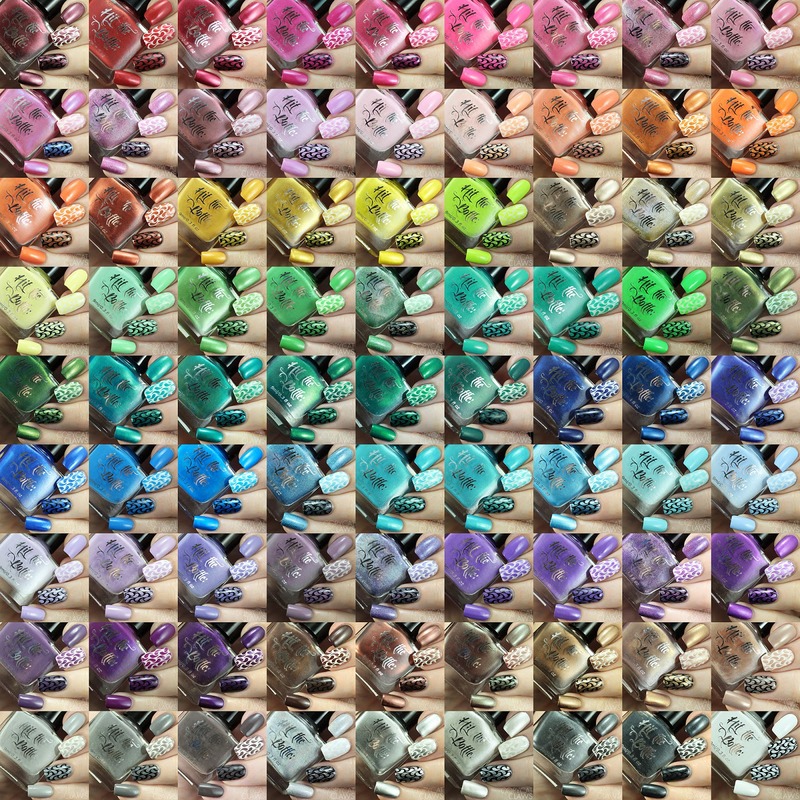 Fingers crossed, maybe we can hope for a Part 2 to this collection with even more colors! Hey there! 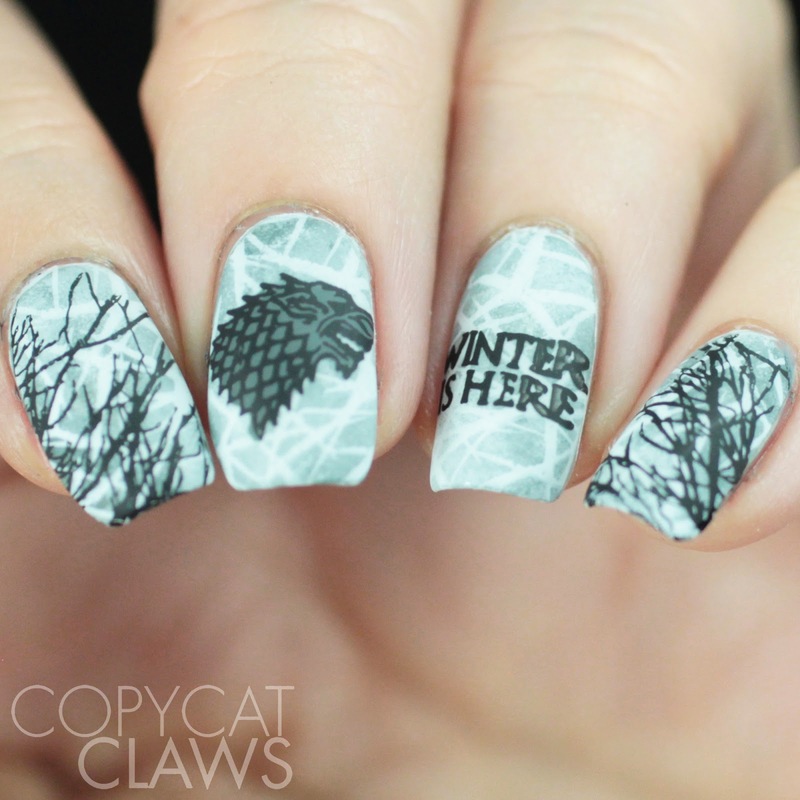 For my second Digit-al Dozen TV Show nails, I went with one of my biggest loves - Game of Thrones. Luckily GoT is so popular that there's even stamping plates for it! 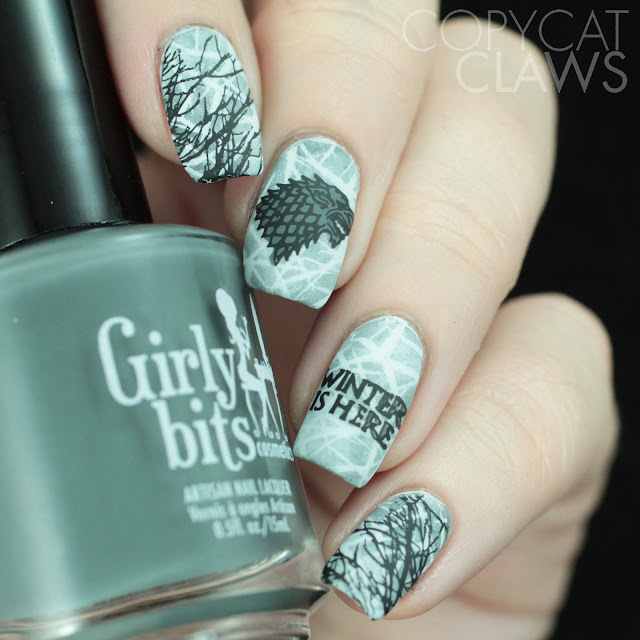 I took advantage of that to do this House Stark design. 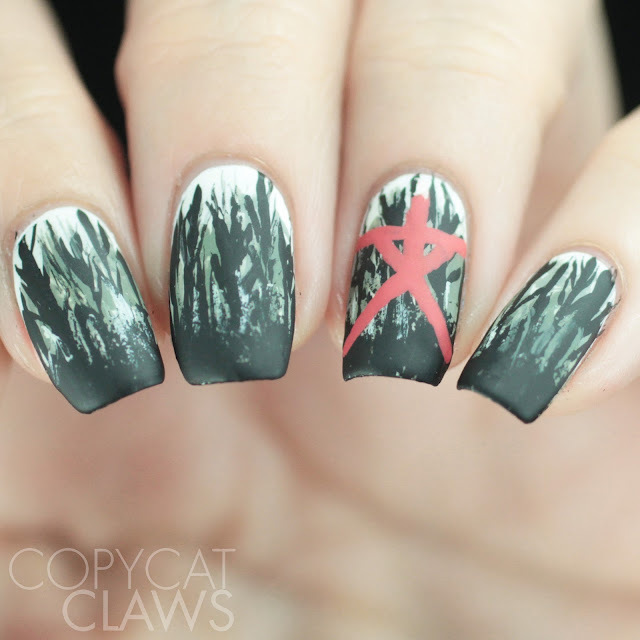 I feel like I've done a few Game of Thrones nails but they're always focusing on fire and dragons. Let's be honest, I'm cheering for The North (being a northern girl myself). Hey there! I know, I know, I'm a late blogger today. It was a holiday here and first thing this morning I was going to write up today's blog post for the start of the new Digit-al Dozen week celebrating TV shows. And then I did nothing. Absolutely nothing. Well that's not entirely true. 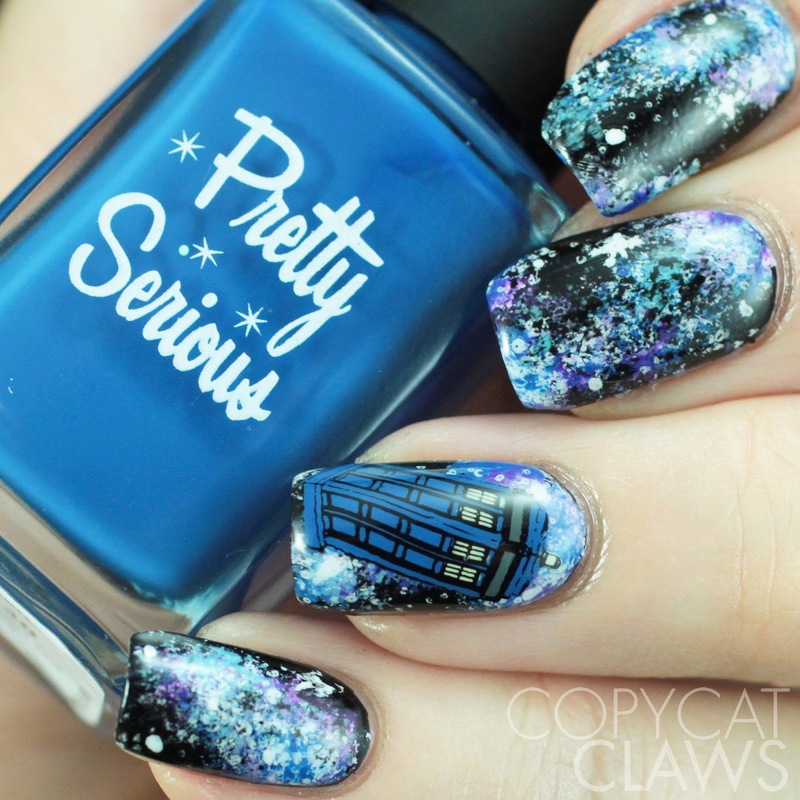 I did watch a few episodes of the show I did for my first DD mani this month...Doctor Who! I don't know how I got into this show but I do love it. Almost 5 years ago I did my only Doctor Who-inspired design but it was pretty obscure. I hope this one is more recognizable. Hey there! Happy Thanksgiving to my fellow Canadians. Before I drive up to my parents' for dinner, I'm popping in to post the nail art I did for this week's Nail Crazies Unite prompt. I realized when doing these I don't really don't watch many horror movies. But I did watch Blair Witch Project and remember being genuinely scared, especially since I honestly didn't know if it was a documentary or not. 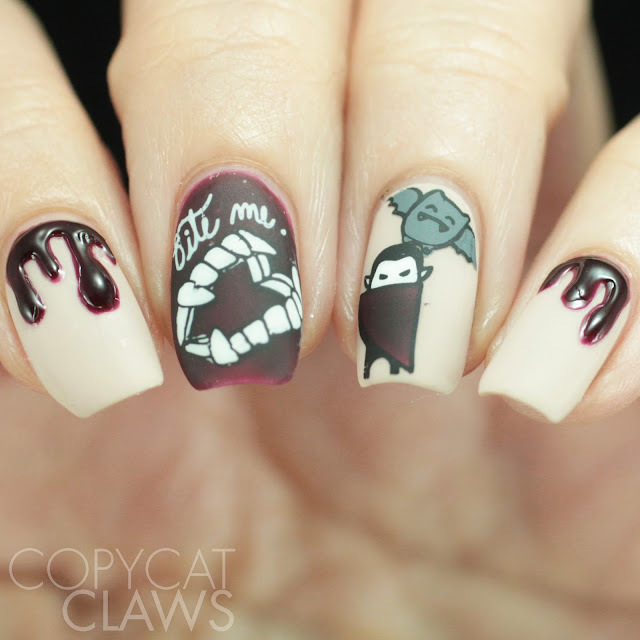 And it made for some mighty easy nail art (which is probably why it won out for my horror movie-inspired nails). Hey there! 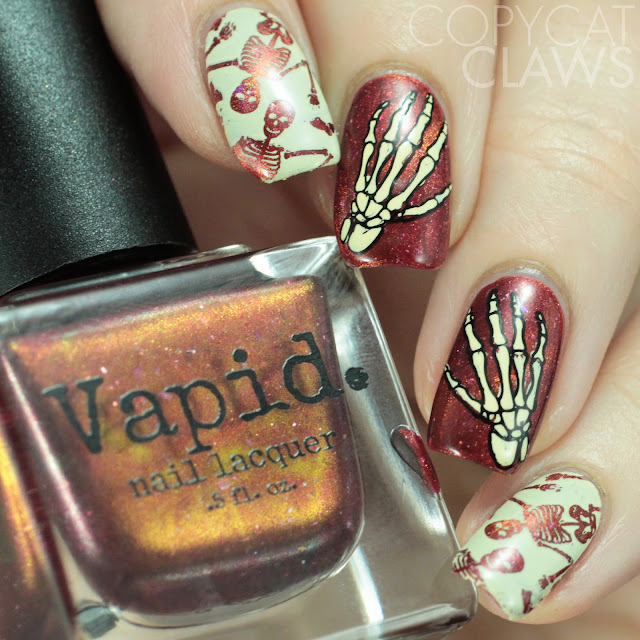 I have another mani that I wanted to share today, before it's the middle of winter. Blush Lacquers Beachside Sunset collection was released this summer but I didn't get any until September when I got my Color4Nails order of them. 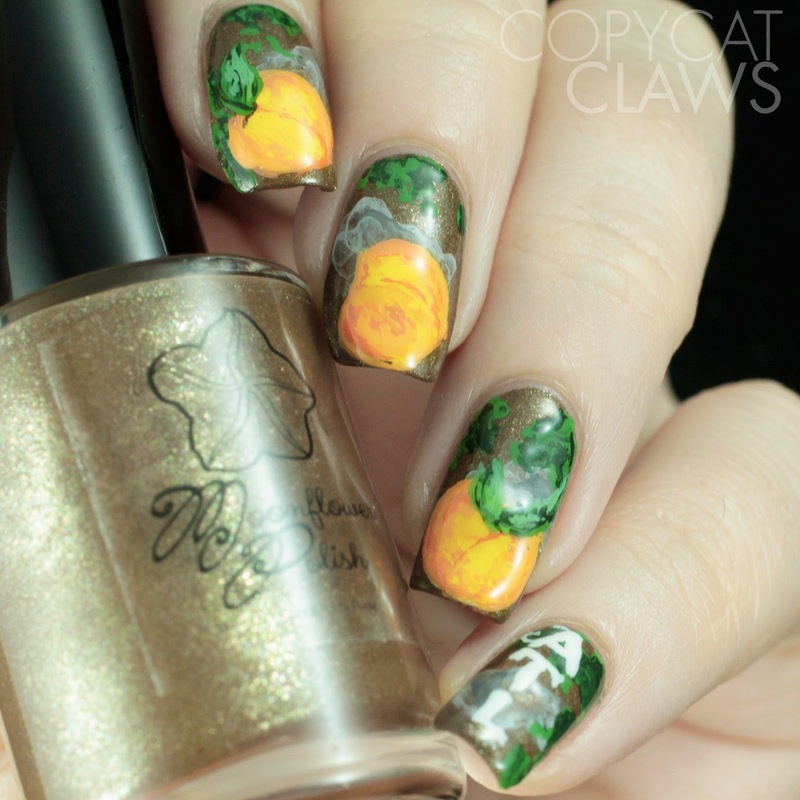 I ordered three of them, Santorini, Oahu and Bora Bora and used all 3 of them for this shimmer-y, summer-y design. It certainly reminds me of warmer times than the chilly fall we're having so far this year. Hey there! I'm back today with a look at another one of UberChic Beauty's latest stamping plates, Culture Rich. This is the sister plate to her recent Cultural Rhythm plate (reviewed here). This plate is also inspired by cultures from around the world. It's a fun plate with so many cool patterns. The images I used worked great. I've grown pretty used to UberChic's great quality and this plate didn't disappoint. 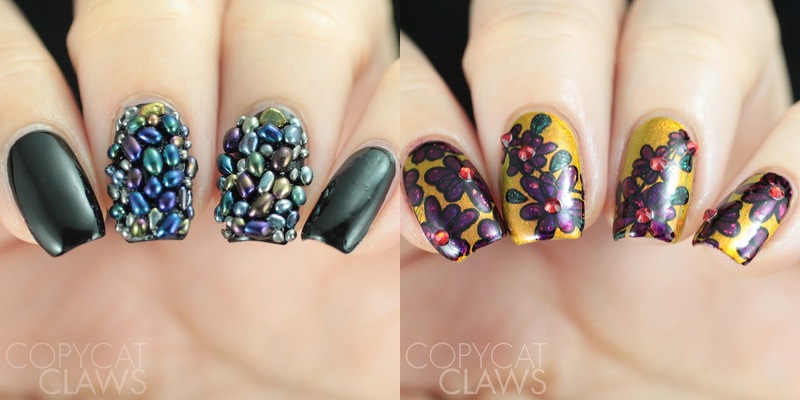 I did a couple of manis with it to test is out. You can find all the details below.